At last week’s NBPCA Power of Prepaid conference, IRS Commissioner John Koskinen and other staffers discussed progress of the public-private partnership, previously known as the IRS Security Summit, in fighting tax refund fraud and steps for moving forward. The Security Summit, which was created in 2015, has become a permanent part of the Electronic Tax Administration Advisory Committee, for which the IRS is accepting applications for up to 10 new members through May 11. “We recognized the need for fundamental change and increased coordination,” Koskinen said. “The purpose was not for the IRS to tell everyone what to do. Instead, the purpose was to work together to find areas of consensus. The working groups came to agreement on a number of new safeguards, which have been very effective and demonstrate the power of a public-private partnership of this kind,” he continued. Koskinen pointed to stronger authentication for taxpayers and information sharing between the IRS, states and the private sector. For the first time in six years, Congress increased the IRS budget by $290 million, he added. Although it’s not a new practice, sharing information about known scams and suspicious activity that could be fraud has been an integral part of the Security Summit. 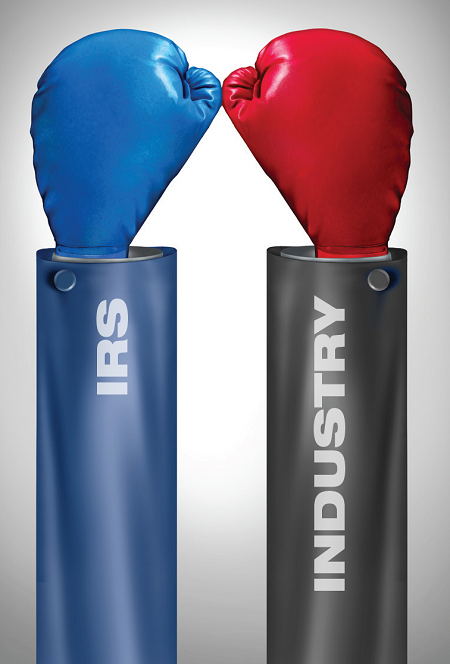 Between 2010 and 2014, the external leads program, through which industry shares suspicious activity with the IRS, recovered more than $4 billion in refunds that had been set to go out the door and bypassed IRS filters, according to Tamara Powell, program manager, business performance lab return integrity and compliance services, IRS. The information sharing has helped IRS improve its fraud filters, she said, noting that somewhere between 94 and 97 percent of the leads turn out to be fraud. “Your filters are working,” she said of industry. The IRS works with about 600 organizations on its external leads program and is seeking more. Stolen identity is a major contributor to tax refund fraud. The IRS reports that during FY2015, the Taxpayer Advocate Service received 56,174 cases involving stolen identity—the most common issue referred, comprising 24.7 percent of total cases, according to the IRS’s 2015 Data Book.